Choosing the most beautiful flower on the market leads to become the most respected florist in Paris. 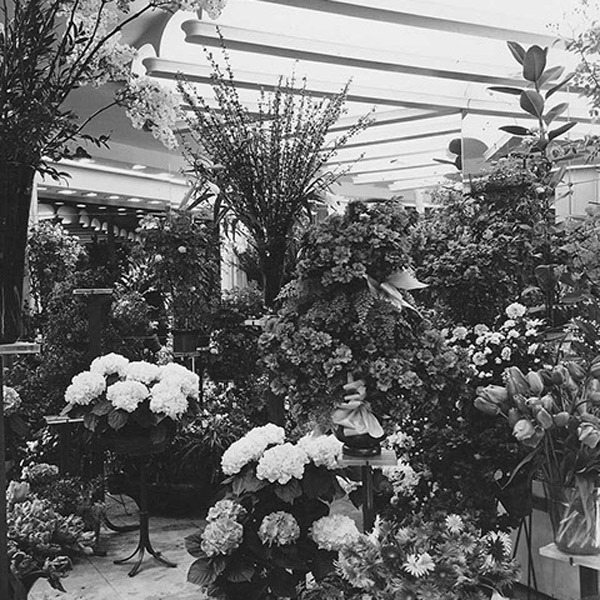 In 1950, after a brief stopover at avenue Bugeaud, René Veyrat opens his shop in the 8th arrondissement of Paris at 168 boulevard Haussmann. Destined for the flower business since 1870, the locale entices René Veyrat and the shop is never to move again. He turns it into an ultra-modern shop and enters the exclusive circle of great Parisian florists thanks to his artistic abilities and good taste. "Quality and freshness, choice, creativity and service" is his creed; his son, Patrick Veyrat, has now made that his motto (and he continues to uphold it after having taken over the business). His rigorous approach to flower selection guarantees freshness and high quality. His team of experts will help you through your choice with professional advice.